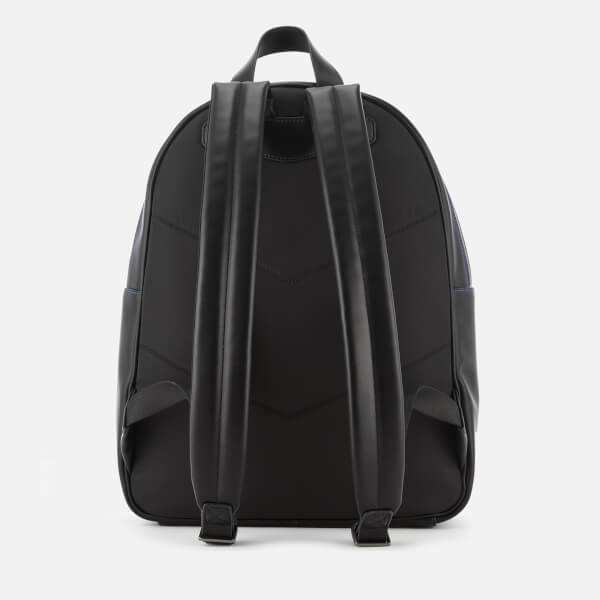 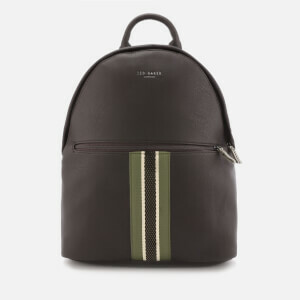 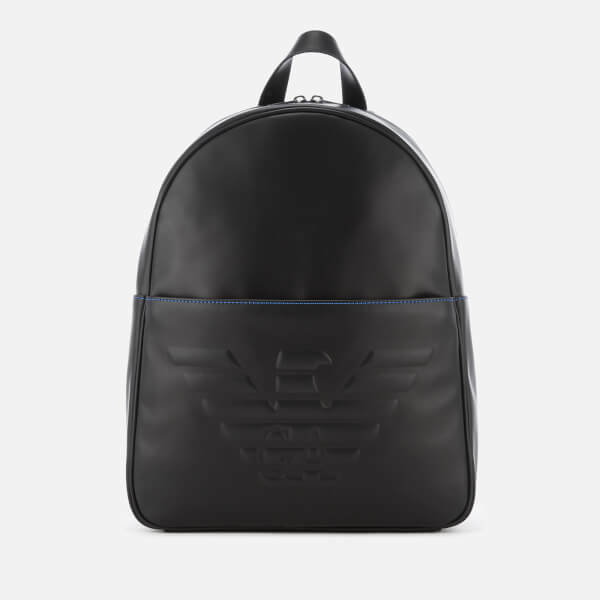 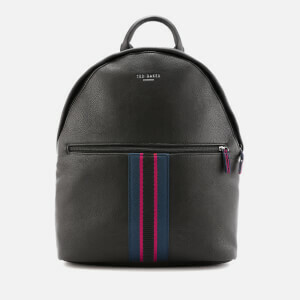 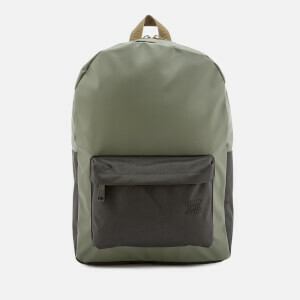 Men's faux leather backpack from Emporio Armani. 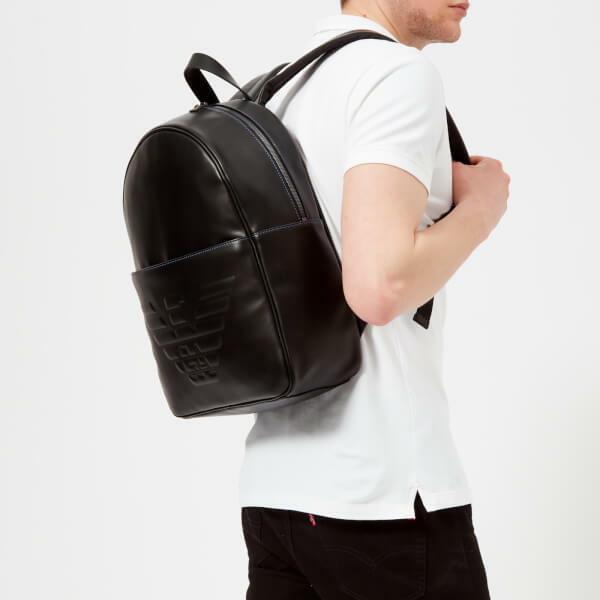 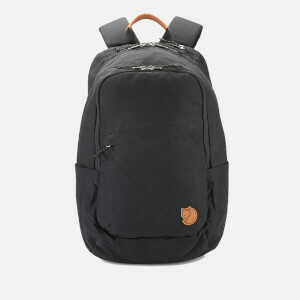 Crafted from leather-look fabric with contrast blue stitching, the rucksack features an external zipped pocket to the front with embossed maxi logo, and a two-way zip fastening that opens to reveal a spacious main compartment with two slip pockets and laptop compartment within. 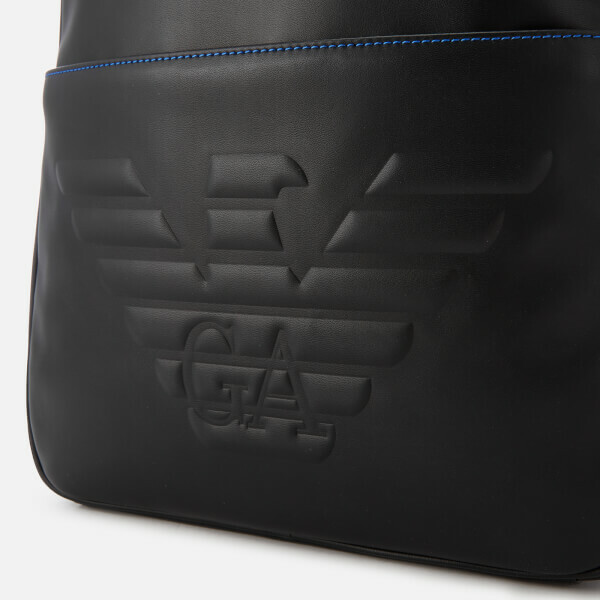 The bag is complete with a tonal top handle and two padded, adjustable shoulder straps for easy carrying.